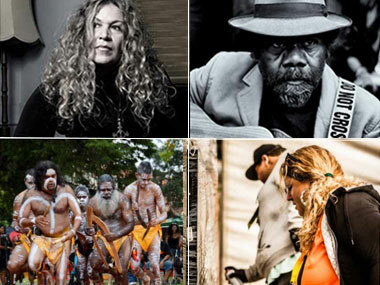 There's still time to attend Adelaide's Spirit Festival Presents and experience a world of Aboriginal and Torres Strait Islander Cultural Spirit through original fashion, dance, music, visual art, creative workshops and more. At the Tandanya Art Cafe experience intimate acoustic experience with an exciting mix of local and interstate Indigenous musicians. A workshop program includes interactive storytelling with John Packham, a clay workshop with Christina Gollan and urban street art with Nish Cash, jewellery with Chantal Henley, weaving with Chantal Henley, a jawun (bicornual basket) talk with Abe Muriata, theatre with Natasha Wanganeen & ActNow, bush medicines with Elijah Bravington, Aboriginal traditional dance with Taikurtinna, and a clapsticks workshop with Allan Sumner. And running until 21 January 2017 is the Being Tiwi exhibition celebrating the vitality and innovative practice of contemporary artists living and working on the Tiwi Islands - curated by Keith Munro and Natasha Bullock with artworks from the Museum of Contemporary Art in Sydney. 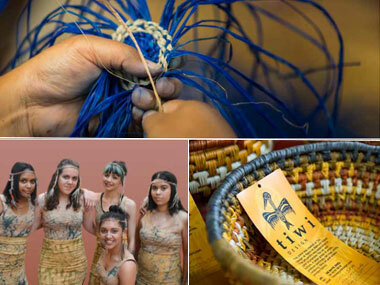 Running alongside this exhibition is a two week Artist Residency with visiting dancers, painters and carvers and will include three performances of Knowledge Keys - the passing on of knowledge, history, life journeys, personal stories and challenges - by the Kurruru Youth Performing Art’s Dance Ensemble. 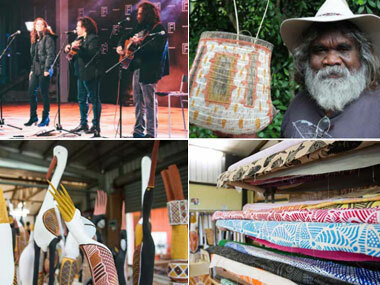 Tiwi Design is one of the oldest and most artistically diverse art centres in Australia. Located on Bathurst Island 90km from Darwin it exists to promote, preserve and enrich Tiwi culture. An intrinsic part of the Aboriginal art and craft industry in Australia, Tiwi Design continues to support traditional and contemporary art practice, working with highly skilled artists to express and realise their traditions. Visit Spirit Festival Presents to view the entire program.